1. Green almonds are great for our heart. They (especially the skin of the nuts) contain lots of flavonoids or bioflavonoids which, being a type of secondary metabolites, enhances the power of antioxidants in our body. A group of researchers from the Tufts University has proved that flavonoids work in collaboration with vitamin E, thereby safeguarding the walls of our blood vessels from potential ruptures or damages. As a result, we can prevent fatal cardiovascular diseases like heart attack. 2. Very few foods are capable of fighting against low-density lipoprotein or ‘bad cholesterol’ like green almonds. If you eat these nuts regularly, you can easily keep your cholesterol levels under check. 3. The phosphorus content of green almonds is extremely beneficial for our teeth and bones. It can take care of our oral health by making the teeth and gum stronger. At the same time, the efficiency of our skeletal system also gets improved remarkably. 4. After each meal, the level of glucose (sugar) rises in our bloodstream which is not at all good for our health. Green almonds can help us deal with the situation by promoting the secretion of insulin hormone and regulating the level of blood sugar. 5. Green almonds are loaded with antioxidants. They can flush out toxins from our body and boost the activities of our immune system greatly. Hence, we can avert a number of diseases as well as infections. 6. When it comes to maintaining the pH balance of our body, green almonds work as an excellent natural remedy. Sometimes, our entire system turns acidic due to the secretion of gastric as well as intestinal juices. But it might result into a number of severe conditions (like osteoporosis, loss of energy, poor immunity, weight gain, etc.) as our body always tends to remain alkaline. Being alkaline protein, green almonds can help us keep our body alkalized. 7. Green almonds are full of essential nutrients, which is very favourable for our nervous system. L-carnitine and riboflavin are two major elements present in these almonds that provide proper nourishment to our brain as well as nerves. So, by including these nuts in our regular diet, we can effectively boost our brain functionality and intellectual level. 8. If you are battling weight loss, green almonds can be of your great help. Inspite of being nuts, they comprise healthy fats, which help us shed off additional fat and stay slim. The green almonds calories belong to the rare kind which actually aid in weight loss. 9. Green almonds contain a lot of fibers, which is indispensable for making the digestion procedure smoother and treating chronic constipation. 10. As said before, green almonds are rich in beneficial antioxidants. Vitamin E is the most important antioxidant agent present in these nuts that can cleanse our body completely by removing all free radicals as well as other toxic materials accumulated due to pollution. Consequently, we get a smooth and clear skin with a natural glow. 11. 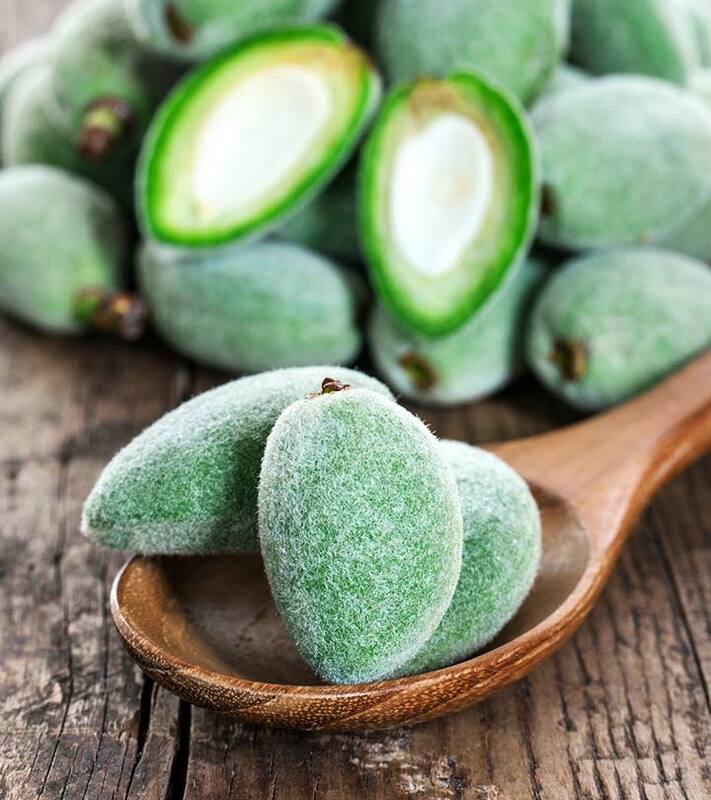 Being a good detoxifier, green almonds can make our internal system clean and cure several skin problems like acne, pimple, blackheads, whiteheads, and so on. 12. 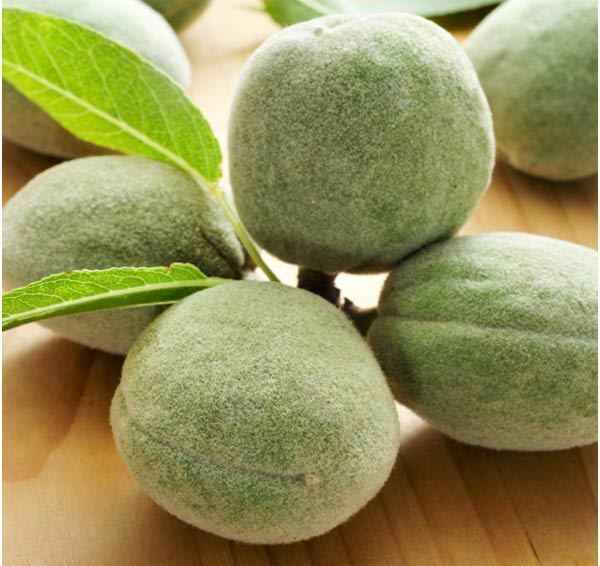 Apart from its detoxifying properties, Green almonds have some other skin benefits too. The amount of alpha-tocopherol (the major ingredient of vitamin E), found is these nuts is very high. So, these are used as our ‘skin food’. Regular intake of green almonds can provide adequate nutrients to our skin cells and make them healthy. 13. Vitamin E is also considered as a natural anti-ageing component. Hence, you can prevent various ageing symptoms like wrinkles, black spots, fine lines, etc. 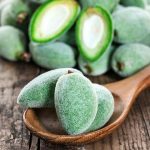 by eating green almonds regularly, applying a green almond face mask or even massaging your facial skin with green almond oil. 14. Daily consumption of green almonds is also good for improving our complexion. As they fight against premature aging and revitalize our skin, we get a soft and young look. Moreover, they can shield our skin from harmful ultraviolet rays of the sun and, which helps us maintain our actual complexion. 16. With the help of green almonds, you can easily get rid of excessive hair loss. These nuts are full of essential vitamins, minerals and several other nutrients which nourish each of our hair strands from the root. As a result, we get strong and healthy hair. 17. Not only prevent hair loss, but green almonds can also promote the growth of our hair. They comprise lots of protein, vitamin E, iron, zinc, etc., which are necessary for growing longer hair. So, if you want to get thicker and longer tresses, start eating green almonds today. 18. This super food is also quite effective in adding shine and lustre to our hair. The protein content of the nuts increases the flow of blood in our scalp, which makes our hair glossy along with stimulating its growth. So, don’t wait. Kick start your day with green almonds and see the difference!